That’s right. It’s only been a few weeks since we were in Pawhuska, Oklahoma, to judge the National Indian Taco Championships, but we’re back in town, this time with our moms, Carol Johnstone and Gayle Teget. 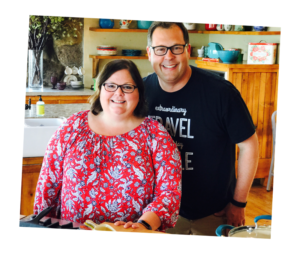 Having been to Pawhuska twice already this year, we got the sense that they were also anxious to see The Pioneer Woman Ree Drummond’s hometown and visit her Mercantile. So, we loaded up the car yesterday and drove from our home in Nebraska back to our new favorite small town. We arrived yesterday afternoon, made a quick stop at Handy’s for a fountain pop, shopped at the Mercantile and had dinner there, as well. 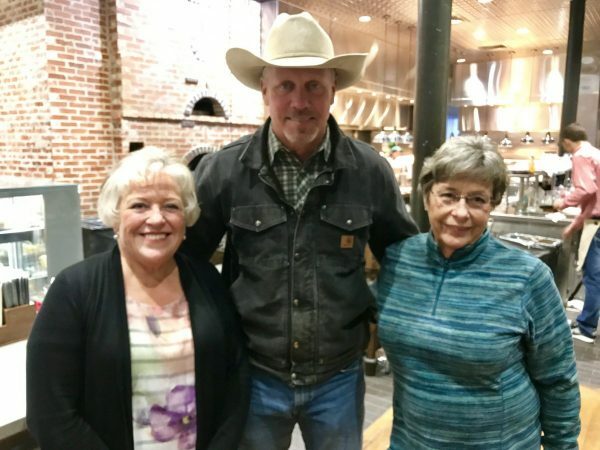 Mom and Gayle even got to meet Ladd Drummond at the restaurant. We’re going back to the Mercantile for their awesome coffee (and breakfast) this morning before touring the Drummond Lodge where they shoot Ree’s Pioneer Woman show for Food Network. Then, mom and Gayle are going on the Roaming the Osage tours and we’re going to see more of the shops and sites in and around Pawhuska. So excited to this mother/daughter, mother/son adventure. You guys are such great writers. I am from Pawhuska although I do not live there now and your story about the pops at Handy’s are 100% true. That story was just hilarious to me. I have also been to Nebraska but not as far as Valentine. I do know a man who works a ranch somewhere by Valentine though. I have been to Ord, Taylor, Kearney, Burwell and some of the other small towns around that area. The sandhills are so beautiful that a person or a picture could never really describe them. You have to see them in person. Also, it seems like the stars are much closer to earth. It was 9:45 in June and still daylight. I was amazed!!! Anyway, I enjoy what little I have read of your stories and am sharing them on Facebook. Thank You!! Also, Marjorie and Martha had a brother named James. He passed away quite a long time ago but he was one of the nicest people you could ever hope to meet. He was a good friend of my mom. And those 2 ladies are just something else. Hope your mom’s have blast! So nice of the two of you to take them.